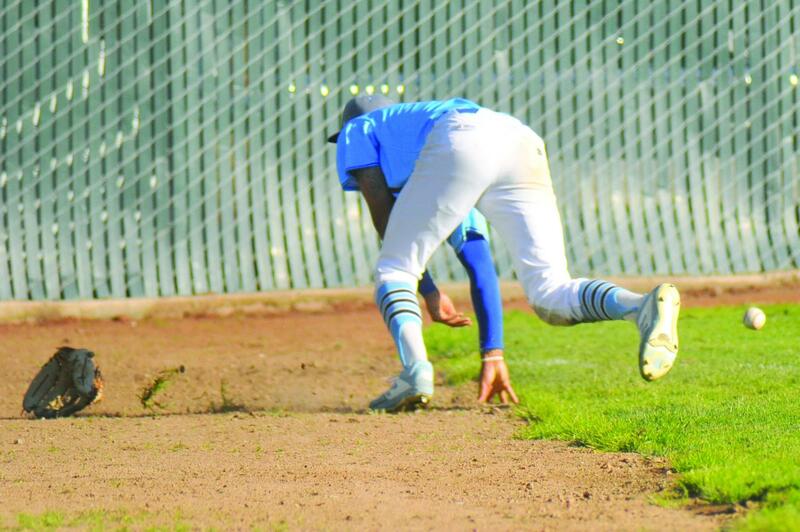 Outfielder Mychael Jamison loses his glove after he dove and missed the ball in the ninth inning during Contra Costa College’s 1-10 loss against Solano Community College on March 14 at the Baseball Field. 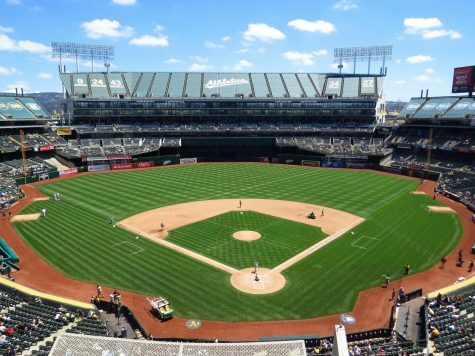 Baseball is a game in which glancing at a final score may not tell the entire story. 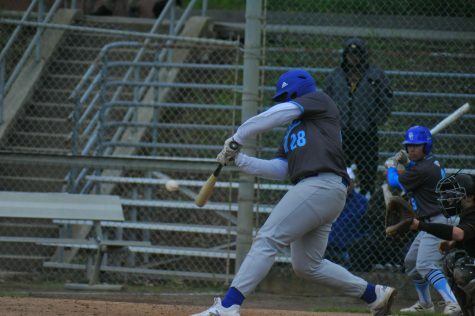 This was the case for the Comets who fell to Solano Community College (8-13 overall, 4-2 in the Bay Valley Conference) 10-1 Thursday at the Baseball Field after entering the ninth inning behind 1-0 and then giving up nine runs in the top of the ninth. Comet coach Brian Guinn said situations like these happen in baseball when a team has lapses in its execution. 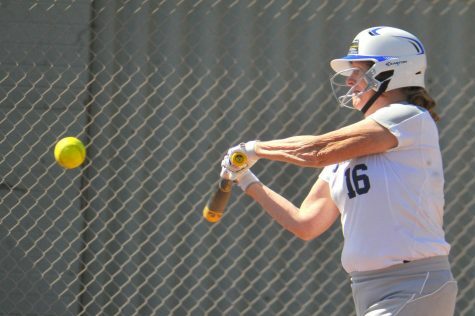 The Comets (3-16 overall, 3-3 in the BVC) entered the game looking to capitalize on a 7-4 extra-inning win in the opening game of the teams’ three-game series Tuesday in Fairfield. 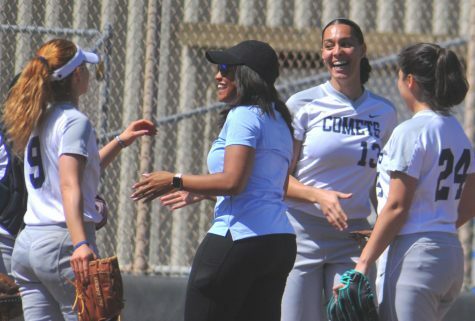 But Thursday in San Pablo, after battling the Falcons throughout the first six innings of the game, the Comet pitching that had become increasingly consistent finally began to lose its grip. 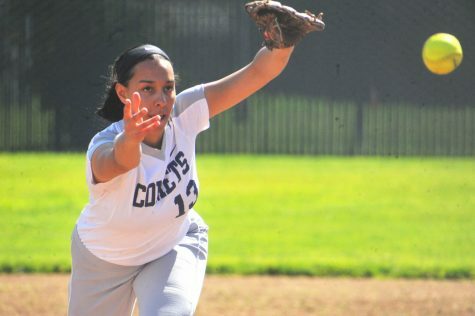 The Comets lost the third game of the series on Saturday 18-4 in Fairfield. 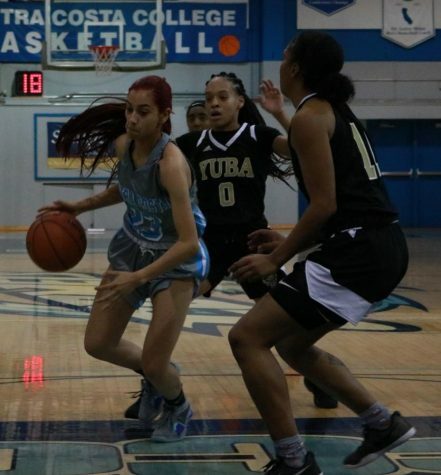 Contra Costa College gets a chance to regroup Thursday when the team continues BVC play against Yuba College at 2:30 p.m. in Marysville. 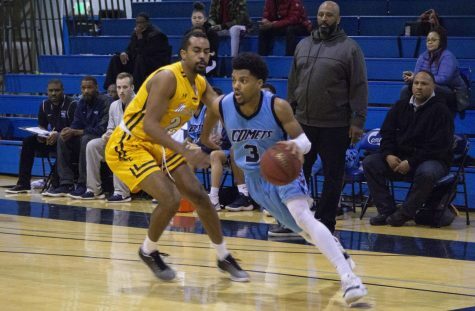 In Thursday’s game Comet pitcher Fred Sito (0-3 with a 7.41 ERA) was one out away from escaping the seventh inning without giving up a run when he hung a pitch over the plate that resulted in a double. The hit scored a Falcon player who reached base following being hit by a pitch earlier in the inning, giving Solano a 1-0 lead. The Comets weren’t able to tie the score after failing to muster up any offense in the seventh and eighth innings to match that Falcon run. 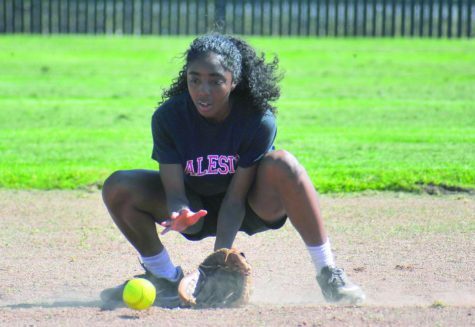 Freshman right fielder Kalen Morris, who leads the Comets in batting average (.278), said the team’s lack of run support was because they didn’t balance aggressiveness with patience at the plate. Morris has been on an offensive tear as of late, although he does not have as many at bats as the rest of the starters. “I’ve been looking to sit back and drive the ball,” he said. Waiting on bad pitches in hopes of tiring out the opposing pitcher is something that Comet hitters have been doing since conference play began. And that strategy has seemed to pay off as the team has recorded three conference victories after going winless in the preseason. But the Comet offense seemed out-of-sync and could not string together back-to-back hits due to Falcon pitcher Danny Zaldivar’s (3-4, 5.12 ERA) ability to keep them off balance. 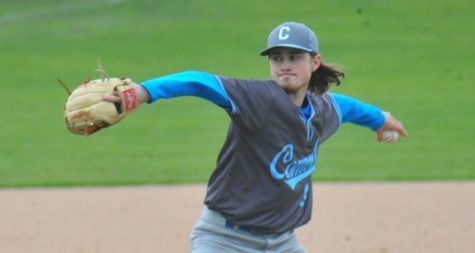 By blending a mix of off-speed pitches and fastballs, Zaldivar kept the Comets behind in the count and found himself in a very favorable position for most of the game. He was in control until the bottom of the eighth when CCC loaded the bases with one out. But the Comets failed to score. CCC seemed deflated after failing to score in the bottom of the eighth inning and still trailing 1-0. Sito went back to work in the ninth and immediately gave up a two-run double to the Falcons. Three consecutive Comet errors followed leading to the nine-run ninth inning Falcon deluge. In an attempt to get out of the inning, Sito was pulled by Guinn in favor of new closer Lorenzo Peterson (0-4, 13.72 ERA), but the change was not enough to stop the bleeding. The Comets scored their run in the bottom of the ninth.